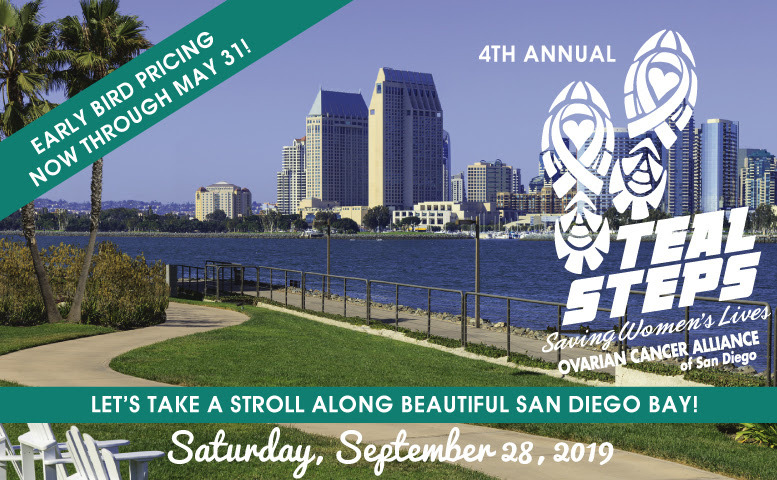 Registration for the 2019 Teal Steps Walk is now open! The Walk is being held on Saturday, September 28th between 9 am and 11 am at Tidelands Park in Coronado. Checkin starts at 8 am. Either click here or on the image below to register!